Are you considering redesign for your kitchen and unsure where to begin? Chances are you feel a little overwhelmed by the process. There are a number of factors that will make or break the final design, so being well informed is the first step in creating the kitchen of your dreams. Many people want to remodel their entire kitchen from top to bottom and others may just want to update their cabinets and flooring. Either way, the ultimate goal is a fresh, updated look that will bring your home increased value and your family many years of use. The first thing you need to determine when remodeling your kitchen, is the amount of area that you have available. If your kitchen is small or has a closed in feeling, you may opt to remove a wall to open up the room. Islands or breakfast bars can be added for extra seating if space allows. If your size is limited, include as much storage space as possible. Natural sunlight will give your kitchen the bright and cozy feeling. Not to mention, it will save you on your electric bill. Skylights or large windows will make the room feel more spacious and open. Considering family lifestyle must come into play during kitchen remodeling. Gather all family members together and find out what is most important to them about the kitchen and take it from there. Is there an avid cook in the household, or does the family eat out most of the time? 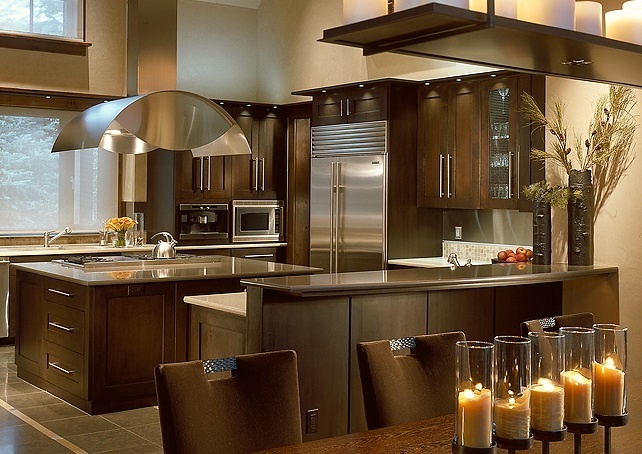 If you are not a cook, then you may consider a lower priced stove and put the extra money towards higher end cabinetry. Do you entertain often and require a lot of seating? If so, a larger dining area, bar seating or a breakfast nook may be the answer. It is extremely crucial that you stay within your budget and not become enticed to spend more than you can afford. Spend the majority of your budget on the elements that mean the most to you. Take your time when planning and don’t rush into remodeling your kitchen. Most likely, you won’t be updating for quite a while and you want to be one hundred percent satisfied with your choices without going into debt. When remodeling your kitchen, you not only want it to be attractive, but functional and practical as well. This article suggests that you think of the work flow in your present kitchen. Is it working for you? Are the stove, sink and refrigerator placed for efficiency? Is there room for more than one person in the cooking area? Ask yourself if your kitchen will coordinate well with the rest of your home. Will it flow with the décor you have in place, or will you need to update the rest of your home to complement it? These factors must be taken into consideration in terms of budget versus investment. Redesigning your kitchen can be exciting if you plan ahead and make the right choices for your budget and your home as a whole. Putting the hard work and labor into the hands of a professional will relieve the stress of doing the work yourself. Consulting with an experienced designer will allow you to see the plethora of options available. 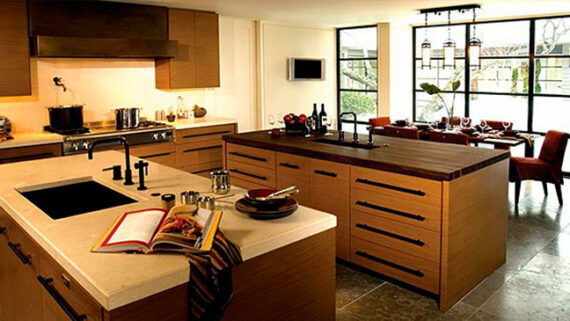 You will be able to beautifully customize your kitchen according to your budget and individual taste. 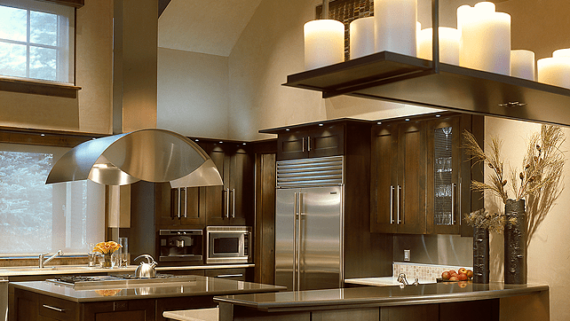 For more information on remodeling your kitchen, check out: How To Complete Your Kitchen Reno On Budget And Time and Selling Your Home? – Update Your Kitchen To Maximize Returns.